The student mobility programs allow students the experience of knowing different cultures. Just as Sacred Heart students go to other countries to participate in the various student mobility programs, our institution receives students from different universities around the world every year, in order to complete a semester, or a year of study. 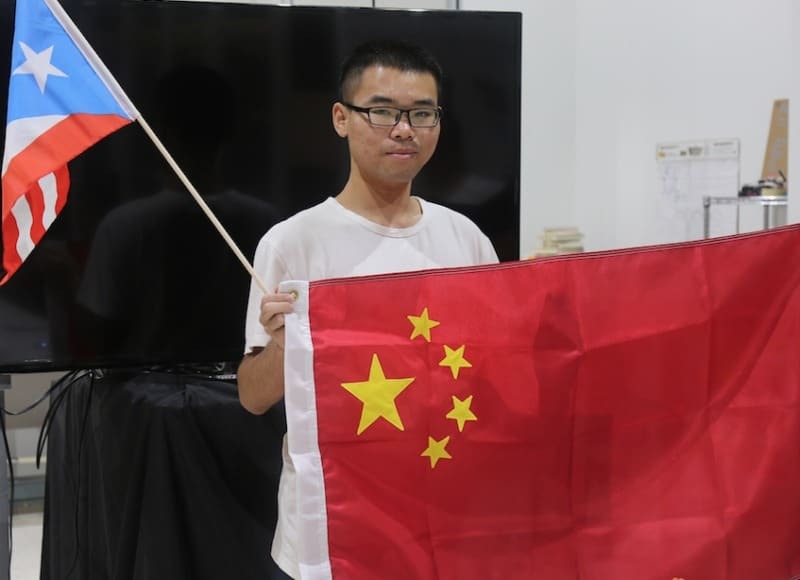 One of the students that are visiting us during the academic year 2017-2018 is, Wang Kai (Frank Wang), from the Jiangxi University of Finance and Economics in China, where he is studying for a Bachelor in Business Administration. Seeing as it is International Education Week, we spoke with Kai to learn about his experience and his perspective on what international education represents. What motivated you to participate in student mobility, and why did you choose Puerto Rico? My dream is to travel the world and gain a global mindset, to be able to communicate with other people effectively, and to learn how to treat people from other cultures respectfully. The most important thing to me is becoming a citizen of the world. Through studying abroad, I can develop my vision of the world and I can get to know more cultures, different religions, ethnicities and other elements that benefit my education. 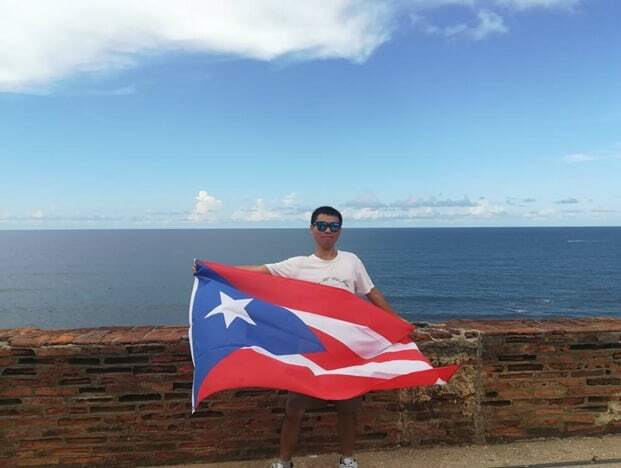 I chose Puerto Rico through my University’s exchange program because of its special relationship with the United States, which caused me curiosity. Also, while searching the Internet, I discovered that it is a beautiful island, with good food and two official languages. Is this your first International experience? What do you understand by international education? It means to see, and analyze the world from a global perspective, accept the multiculturalism, religions and races of nations. Traveling students have a spirit of leadership, they are curious about the world, energetic and dynamic. They develop a comprehensive thought, and handle problems, by analyzing them with new perspectives. What has been your biggest obstacle up to now? Definitely the hurricane. I had to adjust my body. Get used to days without water, electricity, the many mosquitoes and the heat; having to stand in line for food, water and other necessities. It has been a learning experience. How do you compare the educational system in China with that of Puerto Rico? It is absolutely different. In Puerto Rico there is a greater interaction between students and professors. There are fewer students in classrooms; there are group discussions and group tasks that promote strength, dynamics, and cooperation and coordination skills. Do you have any advice for students who are considering going abroad? Yes. Prepare your daily logistics for when you are ready to travel. Equip yourself with enough travelers’ intelligence. At first, it will take time to get used to the environment. This process depends on each person, so they should not become anxious when they fail to fit in with local students. Take your time. Try your best to learn to cook, to wash your clothes; basic survival techniques. When you study abroad, many times you have to solve things by yourself, so you have to learn to be independent before leaving. Try to make friends with the local students, so you learn about their culture, customs, and other aspects of the life of the country you visit. If you are interested in participating in any of the Student Mobility programs, we invite you to visit Sagrado Global to orient yourself and begin to internationalize your education. Do not forget to follow us on Facebook and Instagram @SagradoGlobal so that you are aware of our projects and important information.